Sure looks like Adam West to me! 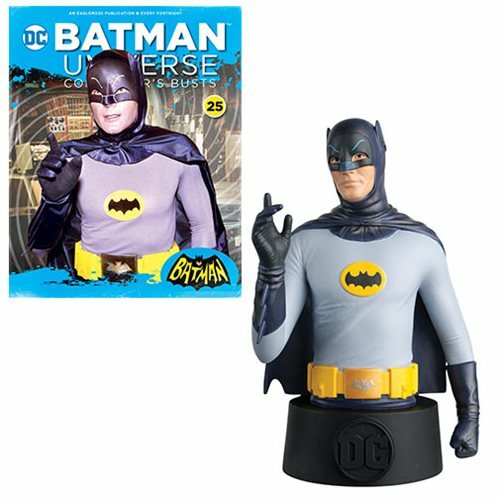 Inspired by the campy 1966 Batman TV series starring Adam West and Burt Ward, this superb Batman Universe Batman 1966 Bust with Collector Magazine #25 belongs in every Bat-fan's collection. Batman comes with an informative magazine in matching packaging, too. Pair him with the Batman Universe Robin 1966 Bust with Collector Magazine #26 (sold separately) for an extra-special display!